This thing is really small. It’s amazing how the size of Apple’s main iPad has decreased through the years. 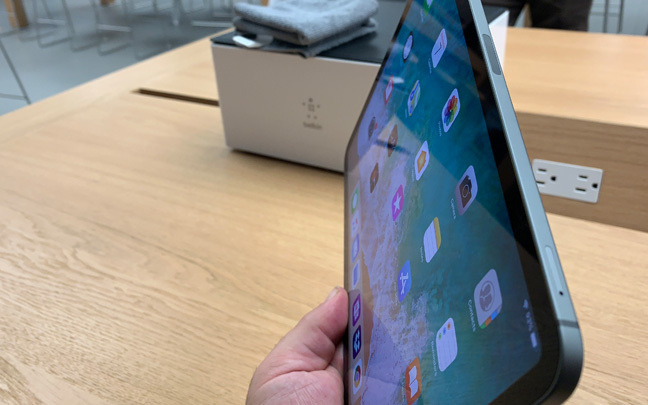 This isn’t really the “all-screen-no-bezel” iPad I thought it would be. There is still some bezel space, which is a good thing since one needs space to handle the iPad. The 11-inch iPad has a wider aspect ratio. This is a good thing, but most apps aren’t made for the new aspect ratio. For now, you’ll have to deal with extended black bars on many apps. I like the industrial design. This thing feels solid. 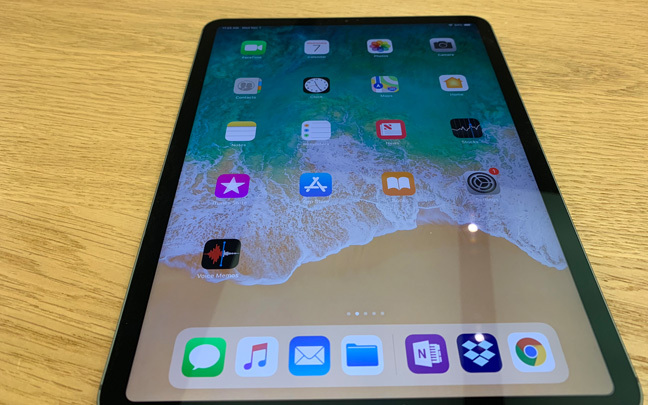 The new iPad Pro 11 has a sturdy industrial design. The audio is downright impressive — even better than it is on the 2017 10.5-inch version of the iPad Pro. Apple added a little more spacial separation and a little more bass. The new iPad isn’t as much as a fingerprint magnet as previous iPads. The contrast ratio and color saturation are amazing. The new iPad gets blindingly bright. The battery life is good, but not fantastic. I’m glad that the new Pro has a USB-C port. But what good is it when you can’t connect an external hard drive? The new Apple Pencil is overpriced. But it’s also very good. It feels better in the hand than the previous Apple Pencil. Even the writing feels smoother — you can feel friction like you do with a pen and a piece of paper. Even though the Pro feels sturdy, it’s still best to get a sleeve for it. Getting a screen protector would also be advisable, but you need one that will not hurt the Apple Pencil experience. I don’t have the keyboard cover, but the new iPad Pro begs to be used with your fingers — even if you’re just typing on the screen. The biggest thing that hits me is that the hardware is far more advanced than the software. The new iPad Pro is so powerful. Wouldn’t it be amazing if the new iPad Pro ran macOS instead of iOS? Perhaps more companies will follow Adobe (they are releasing a full version of Photoshop next year for the iPad Pro) and release more desktop-like applications for the Pro in the near future. 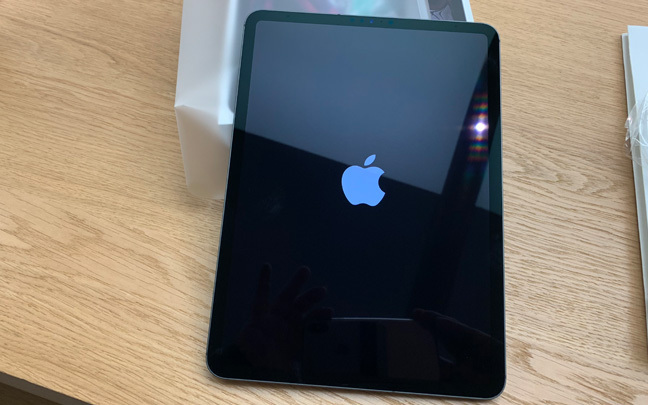 This entry was posted in Review and tagged 2018, Apple, iPad Pro, iPad Pro 11, MacBook Pro. Bookmark the permalink.